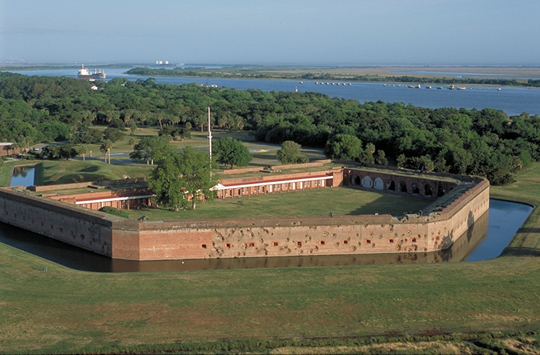 Fort Pulaski stands by the beautiful Savannah River in Georgia and is presided over by the National Park Service. However, it has a dark historythat belies its current peaceful nature. It used to be a Civil War prison where over 500 confederate officers froze and starved in their cells over the hellish winter of 1864?1865. As such, Fort Pulaski is reported to have a hostile and ?heavy? air. There?s also a stairwell with a particularly cruel history: When the fort saw battle, the wounded soldiers were unceremoniously dumped in the stairwell to die. These soldiers are said to still haunt the staircase, attempting to climb it despite their grievous wounds in order to return to the battlefield.